CALL ACE PLUMBING AND DRAIN CLEANING, THE SALT LAKE CITY PLUMBERS YOU CAN COUNT ON. What is plumbing? Silly question, right? Thing is, there’s so much more to it than just pipes that move water. As experienced Salt Lake City plumbers we understand that every faucet, toilet, sink and even some appliances are part of your plumbing. Try washing dishes in your fancy stanless steel dishwasher without hot water, or a drainage pipe to carry that nasty wastewater away. And have you considered that the hot water you enjoy for cleaning, cooking, and bathing has to be heated by a water heater that often requires functioning natural gas? Yep, plumbing sometimes even means gas lines. Whether you need clean water flowing in, or dirty water flowing out, Ace Plumbing and Drain Cleaning are the best plumbers in Salt Lake City and the surrounding areas to take care of you. We’re here to make sure the water and sewer lines in your home or office are always functioning properly. 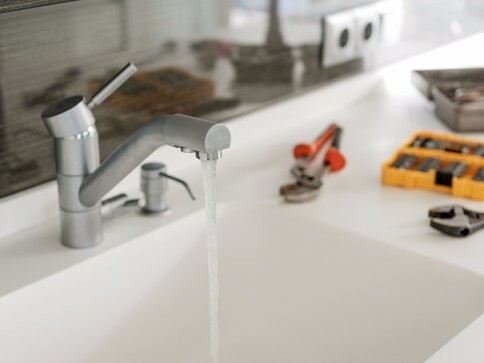 With the expert plumbing services from Ace Plumbing and Drain Cleaning, your residential plumbing and commercial plumbing solutions are just a call away. We’re committed to making sure your water or sewer lines always function properly. Schedule an appointment with Ace Plumbing and Drain Cleaning in Bluffdale, UT right away to get your plumbing back in order. Choose Ace Plumbing and Drain Cleaning in Bluffdale, UT for any plumbing related need, including spot repair, water line replacements and trenchless excavations. We take extra care to fix or replace your sewer and water line right the first time around. Isn’t that what a great plumber should do? We think so. We rely on more than 50 years of combined experience to deliver prompt sewer and water line services for the homes and businesses of Utah. We use first-rate equipment to complete your job quickly. Get an estimate on plumbing services from Ace Plumbing and Drain Cleaning by calling 801-997-9090.